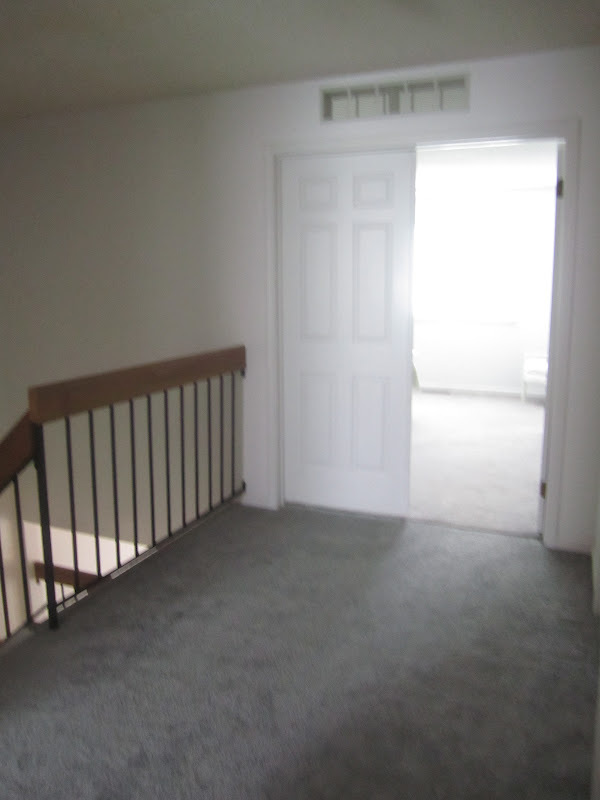 One thing about my home that I'm really not crazy about is the stair situation. The staircase is in the middle of the house and very open - the stairs are backless themselves (there is no way I'd feel safe with an infant or toddler on these steps) and the actual stair case is pretty open. My kids love to stand at the very top of the staircase and drop toys and stuff all the way down. It's like Plinko from The Price Is Right. I do not like Stairwell Plinko. 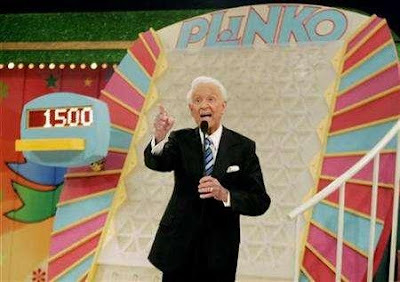 I like Bob Barker Plinko only. I also need more storage upstairs. 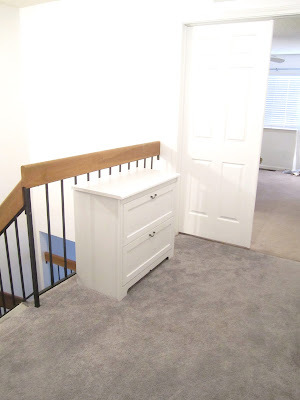 I don't really have a linen closet, and I need a place to store the kids' beach towels and extra blankets. 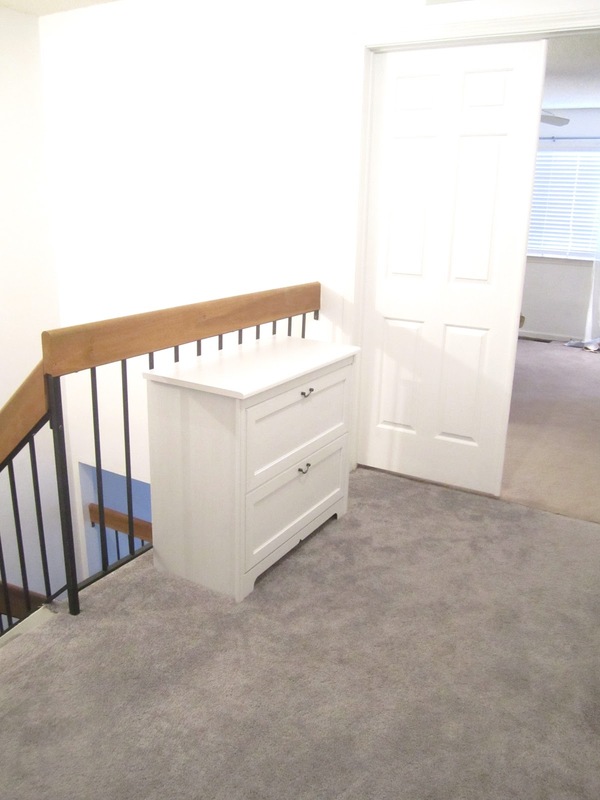 This spot in the hall is perfect for a little chest: something for two functions: (1) storage and (2) ending Stairwell Plinko. 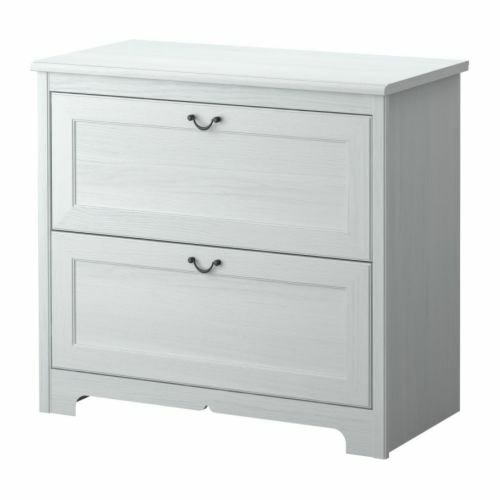 I was at IKEA last weekend and found exactly what I wanted: the Aspelund chest with 2 drawers. It was on sale for $70. I could have stalked Craigslist for a dresser and painted it, but this one was the exact color, size and style that I want ... not to mention I have a huge list of painting projects and did not want to add to it. So ready-made was the way to go. Here is the chest. It took less than an hour to put it together. And here it is in the hall! I need to get picture frames for the top and something to sit next to it (maybe a basket? maybe something else? I don't know), but I am happy with this little upgrade.